The panel is 5.03 inches tall and 1.20 inches wide (6HP). The depth behind the panel is less than 2.0 inches. The module is designed to be used in a standard Eurorack synthesizer case and has a IDC-16 pin Eurorack power connector. 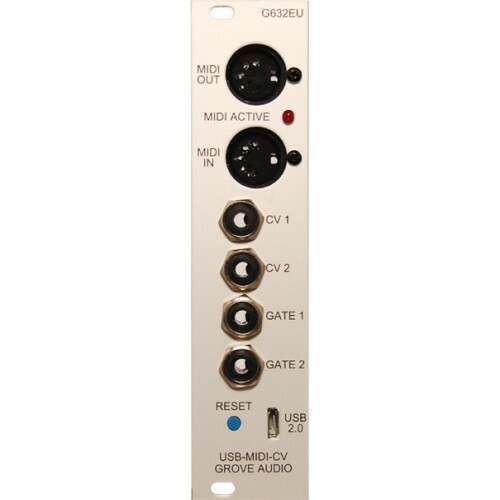 There is a jumper selectable +5 Volt regulator on-board which can be used if the Eurorack system does not provide +5 Volts. The panel is clear anodized aluminum with black lettering.